I have to say I was fairly sceptical when I first read about “Zero Calorie” “Miracle Noodles”. How food can have zero calories is beyond me. And anyway, what would they even taste like?! Well, the answer is pretty shocking! The texture is a lot like skinny udon noodles or a slightly thicker angel hair noodle. They taste of nothing at all so need a fair amount of flavour to get them going. 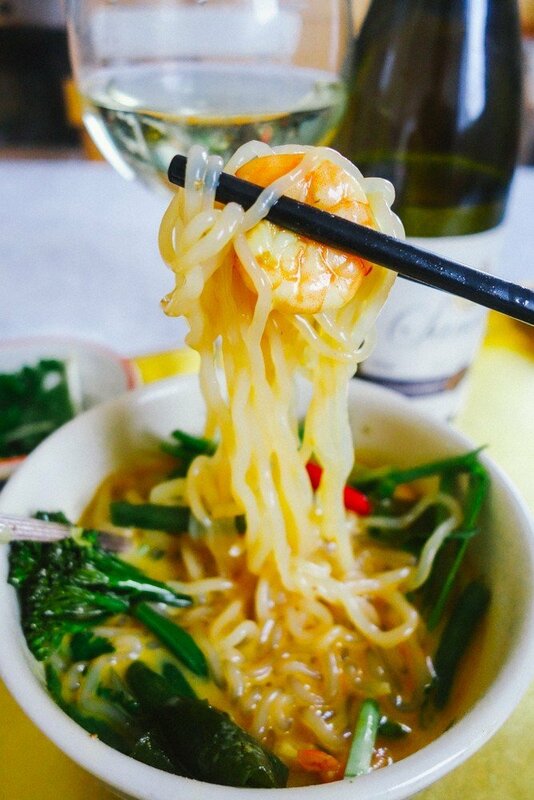 Please forgive me for yet another Asian inspired recipe, but when it’s grey and miserable outside I really just fancy a fragrant bowl of bright, tastebud smacking, comforting goodness! And this really hits the spot. Low carb, low cal, low effort(! ), veggies, and even picky eaters. This spicy, coconutty, rich soup was inspired by my trip to Phat Phucs and I think you’re going to love it. I ordered mine from “Miracle Noodle” and they came within a few days. Pop a saucepan onto a medium heat and add your coconut oil. Throw in you curry paste, garlic and chilli. Fry gently before adding your protein and veggies. Stir around until they’re nicely coated in flavour. 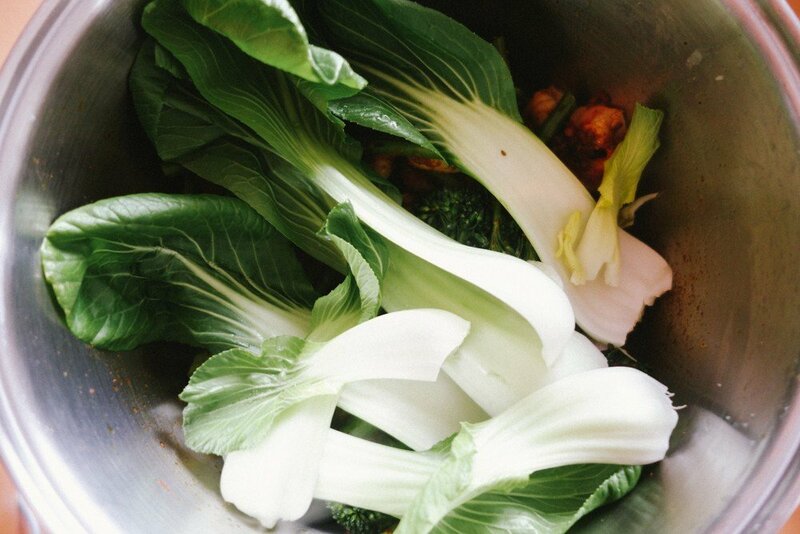 Add a layer of bok choy. Sprinkle with stock or miso. 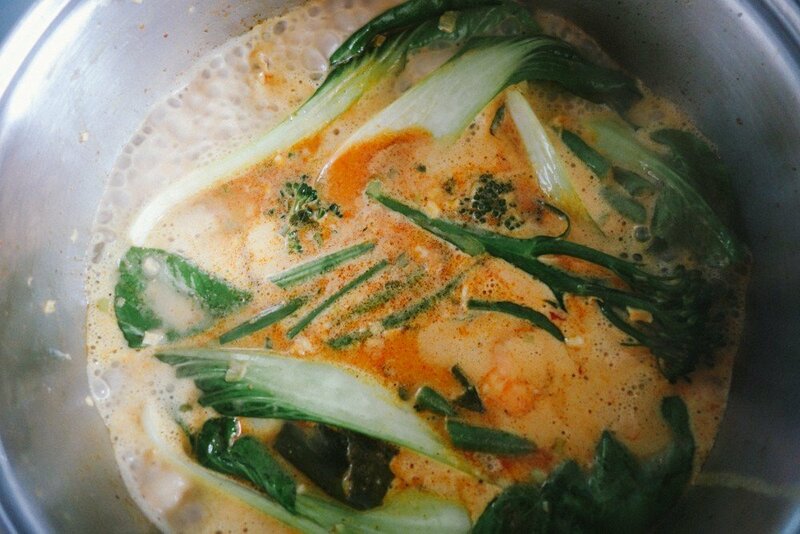 Pour in your boiling water and coconut milk. Add your ginger, lemongrass, soy sauce, honey and gently bring to a boil. Rinse your noodles thoroughly under the cold tap. Once your pot is bubbling away, add them to the soup. Serve, and pop some fresh herbs on top. 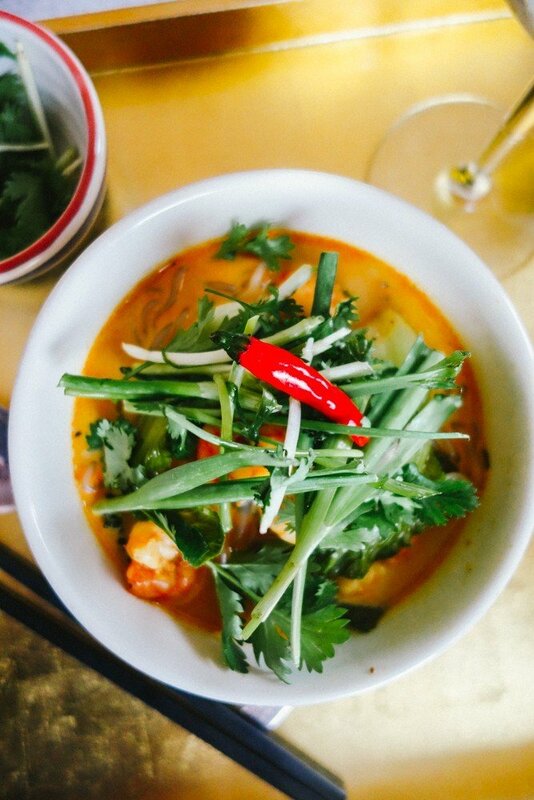 Slurp out your noodles, drink the soup and enjoy! 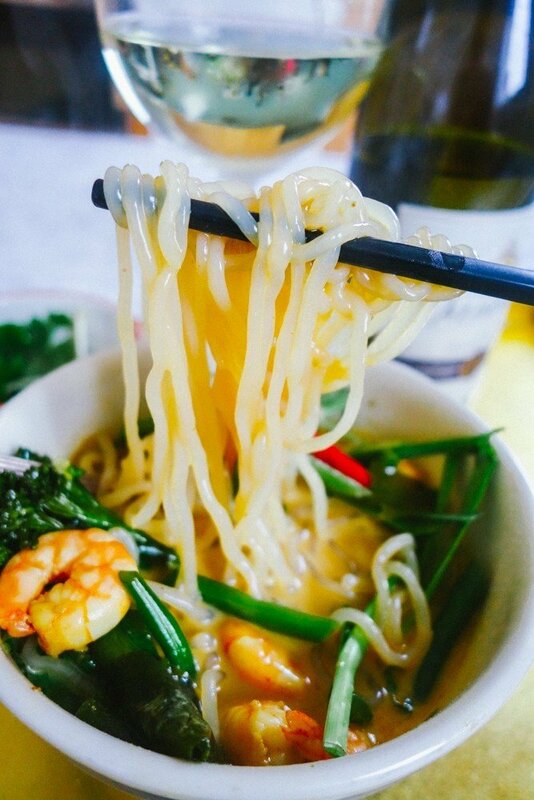 Deliciously flavourfilled, decadent noodles… with none of the regret that comes with being over-stuffed with carbs. It’ll kick any winter colds in to touch, too. Let me know if you give the noodles a go. I’m going to try more of an Italian recipe next time… I can feel meatballs/Bolognese coming on! I can’t wait to take some home to mum. Udon know how excited she’ll be to have noodles again!